Founded in 1997, Unibet is one of the longest and well-established betting firms around today. As expected from one of the big players in the bookmaker world, Unibet has everything that you could think of regarding getting a bet on. Now let’s see what they have to offer. Unibet do separate offer for customers from the UK and Ireland. The UK offer is as follows. Place a sports bet of a minimum of £1 on odds of 2/5 or greater. 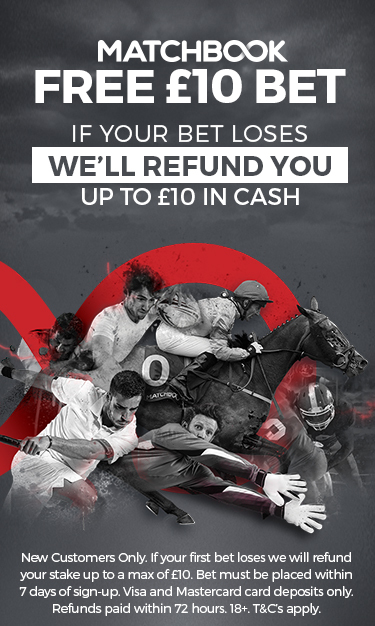 If your selection loses then you will be refunded, you bet take up to £40. If you receive a free bet of £40, then you will have to bet x4 of your stake to complete the bonus conditions. This means you will have to bet that amount before you withdraw any money won from your free bet. The catch is, you must bet the amount within 7 days of signing up. £10 casino bonus sign up offer can be used on all casino game. But as the other sign up offer you must meet the sign-up bonus conditions. Once you bet £350 in your casino account then you will be able to access the winnings of your free bet. Place a bet of up to €30 on odds greater the 2/5, and if your selection loses then you will be credited a free bet of you stake into your account. To meet the bonus conditions, you will have to place single bets of x3 of your stake (e.g. x3 €10) to access the winnings of your free bet. 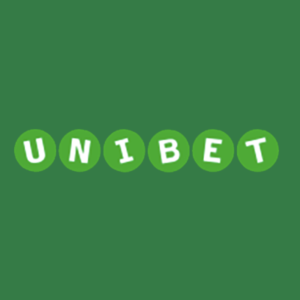 Unibet have a nice few promotions which I will guide you through now. Money back as a free bet of up to £10 on selected markets in a pre-selected football game. Refer a friend and get a £60 cash reward and 50 free spins for the slots. There are a few terms and conditions in regard to the criteria in which your referred will have to meet for you to avail of this offer. Get up to £100 back in cash if a penalty is rewarded in the Premiership or Champions League only on selected markets (first and last goal scorer, correct score, HT/FT result and scorecast). Bets must be placed before kick-off. In play free bet club. Place five or more in play bets on football, tennis, cricket, darts and basketball of the value of £10 or more (Monday to Sunday)on in play markets (odds of 1/1 or greater) and you will receive a free bet into your account the following Monday by 16.00pm. Multi-Boost. Put together a football accumulator from any league with odds legs no lower than 1/5 and you can receive a boost to your winnings. 1. 3-fold gets a 10% boost to your winnings. 3. 5-fold + gets a 30% boost to your winnings. Unibet do a special bet with the 3 football teams that they sponsor in the English Championship. Place a first/last/anytime goal scorer on an Aston Villa, Middlesbrough or Preston North End player, and if you bet does not come in then Unibet will refund you back your stake in cash. As expected for one of the big firms, Unibet has all markets covered. Their wide range of markets cover all angles of betting. Be it football, rugby, basketball to eSports then Unibet has it all. Their in-play betting is of a high standard as expected with a big online firm, with sports like football, basketball, rugby to name a few all covered. With a number of bets on offer during play, you are sure to find a bet that turns a normal match on the T.V in the back round into an edge of the seat thriller. Unibets live streaming is up there with the best. With a dedicated home screen button, you can access Unibets live football streams from major leagues such as La Liga, Serie A, MLS and many more. Also on offer are live basketball streams from the NBA. With the vast choice of live streaming on offer, you are sure to find a bet that will be too good to miss out on. A must on all online bookmakers is live streaming of all Irish and UK racing. This is met by Unibet with the UK and Irish racing streamed live once you have a place to bet on the race of your choice, also available is live streams from selected tracks in America. Are you a greyhound racing fan? Then you have you have all you need here with Unibet streaming live races form most UK and Irish tracks. This nice feature lets you listen in on live commentary and analysis of the day’s horse and greyhound racing and news as it happens live. This blogging section is full of useful information from all sports. There are news, reviews and tips on all of the weeks sporting events which can help point you in the right direction to making a nice profit for the week. You can get inside information from the horse’s mouth with blogs from multi Group one and Grade One winning trainer Jessica Harrington and multiple English national hunt champion trainer in Nicky Henderson. This is useful in the months in the lead up to the Cheltenham Festival with both trainers firing huge bullets towards the big races not only at Cheltenham but with the likes of Aintree, Punchestown and Leopardstown but to name a few. Adrian Heskin one of Ireland up and coming jockeys who has in the last season landing a big job in England with becoming the retained jockey for Tom George. Adrian lends himself to his views on his rides and what he thinks is a value bet. With all this information from two of the best trainers in the world and one of the leading jockeys in the weighing room, you can’t lose, right? Nico de Boinville is also one of Unibets main ambassadors for the national hunt season. With Nico having tremendous success over the last few years in winning races such as the Cheltenham Gold Cup on Conngree, with also adding the Supreme Novice Hurdle, Arkle and Champion chase on the freak that is Altior. The frank and honest view from Nico is not just a good read but also a very informative peace for the season ahead. eSports, one of the fastest growing sports in the world where gamers battle each other for world, league and national titles. If you can’t quite keep up with the world’s best gamers why not try and pick who you think will come out on top of all the matchups. The wide range of markets provided by Unibet leaves you with the chance to cheer on your favourite gamer and hopefully win enough for you to get the latest game and catch up with the big boys. Want to get that valuable practice in before the dream trip to Vegas? Yes! Then you can get all the practice in that you need in Unibets online casino. From slots, poker, blackjack whatever you can find in a casino its there. Unibet also offers live tables for multiple table games and the money wheel. Deposit up to €/£100 and get a 200% bonus to play with (€/£300). There are some terms and conditions to avail of your bonus. Unibet have no end of tasty jackpots to get your hand stuck into. So you could go from have a nice casual game to be the lucky winning of a huge jackpot in the spin of a wheel. Unibets mobile version is available to download on all Android and iOS platforms. This mobile version is set up to mirror to the laptop version which makes it quite easy to find your way around the mobile version. They have it set up with easy to use and find icons, even of you have never used Unibet you will find everything you are looking for with a swipe of your finger. Unibet also has a separate app for their casino. This can also be downloaded for all Android and iOS platforms. As in the case of the sportsbook version, the casino mobile version is quite easy to find your way around when looking for the game for you. Live Chat Click on the get help icon located at the top of the home page. Once in, type live chat into the search bar provided and you will have instance access to Unibets online team. You have the power to set you deposit limits when signing into your account. Simply go to `my setting’ and follow the instructions to set your limit. The setup and running of Unibets sportsbook and casino mobile and desktop version ensures you that you should not have any problem getting a well thought out bet to the last second moment of inspiration. Everything from the transition speed between markets to the reliability to the live streams has Unibet as one of the most reliable sportsbooks and casino on the market. Darts-The Masters, European Championship, World Grand Prix, Premier League of Darts. Horse Racing- Epsom Derby, Unibet road to Cheltenham series, Champion Hurdle(Cheltenham). Unibet has everything you need to enjoy your betting experience, with over 4,000 live streams on Unibet TV. Their in-play markets have a lot to offer with all the variety of bets that you can choose from. This is a very high stander of sportsbook and casino, that you will find easy to use and navigate your way through no matter if it is the desktop or mobile version you are using. All in all, Unibet leave no stone unturned to bring you some high-quality value for your hard-earned cash.